FC Barcelona and Gremio de Porto Alegre have agreed the transfer of the player Arthur Henrique Ramos de Oliveira Melo, following the agreement the two clubs reached in March. The agreement will see the Brazilian player immediately join the squad. The cost of the transfer is off €31m with €9m in variables. The player will sign a contract with the Club for the following six seasons, until the end of the 2023/24 campaign; his buyout clause is to be set at €400m. The schedule for the presentation of Arthur Henrique Ramos de Oliveira Melo as a new first team player will be announced shortly. Born on August 12, 1996 in Goiania, Brazil, Arthur Henrique Ramos de Oliveira Melo, better known as Arthur, is a talented midfielder who stands out for his passing game. The Brazilian has shown his quality at Grêmio, where he has won both the Copa do Brasil and the Copa Libertadores. He has also played with the Brazil U-17 and U-20 national teams. Despite being summoned to the senior team on a few occasions, he has not yet debuted on the top team, which currently features one other Barça midfielder in Coutinho. Arthur likes playing with quick touches and short, triangulating passes involving his teammates. One of his virtues is his ability to get open, which makes him a dangerous right-footed threat near the penalty area. 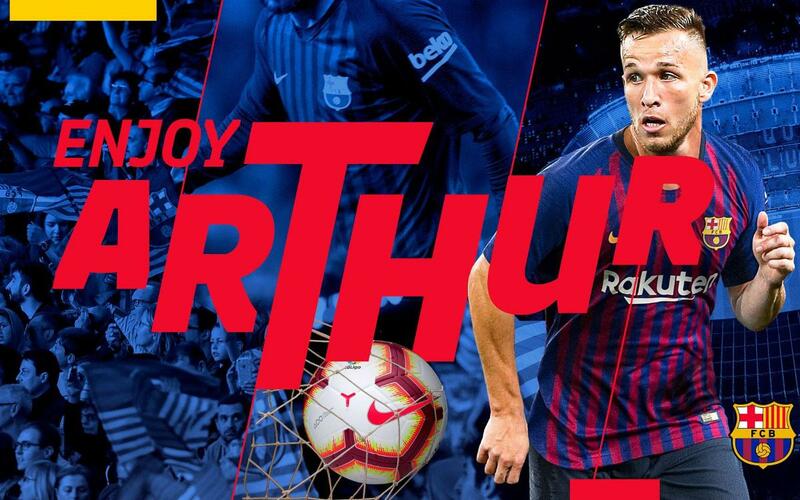 At 172 cm tall (5 ft 8 in), Arthur also stands out for his skill at protecting the ball and his eagerness to play vertically up the field. The Brazilian midfielder started playing in 2008 in the lower categories of the Goiás Esporte Clube, where he played until he made the jump in 2010 to Grêmio in Porto Alegre. Arthur went on to debut with the first team, under the orders of famed manager Luiz Felipe Scolari. Arthur continued to gain prominence and was a key player in the 2017 Copa Libertadores, where he was the Man of the Match in the second leg of that year’s final.